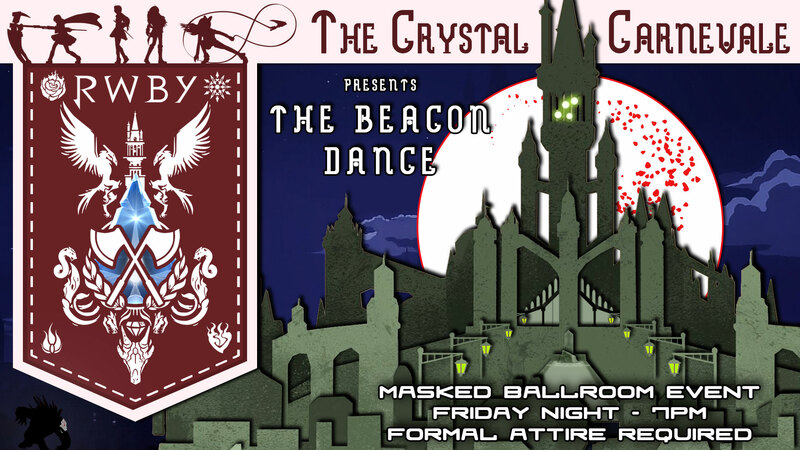 The Vytal Festival is coming up and Beacon Academy is hosting their annual Beacon Dance. Jouney to the Kingdom of Vale and join the cast of RWBY as they present an exciting night of romance, intrigue, and dance! Click here to get your Crystal Carnevale – The Beacon Dance tickets. As long as it is RWBY themed or is in anime / video game / scifi formal-wear design, then yes. This is a masked formal ball and dinner. Casual dress is not allowed. This means, no jeans, sneakers, etc. You will not be permitted into the event unless you are in formal dress with a masquerade-style mask.